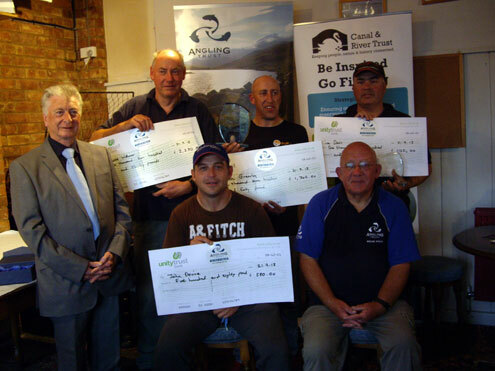 Thirty nine competitors contested the Angling Trust & Canal & River Trust Stillwater Championship final on Saturday 21st September 2013 at Boddington Reservoir, Northamptonshire. Early in the week prior to the match some winning weights of 400 lbs and 300 lbs had been recorded, but since then the weather had turned cold and the fish had stopped feeding. The grand final was split into two sections, pegs 5 to 24 and pegs 61 to 80, with pegs 70’s to 80’s being the pegs that most anglers favoured on the day. The day started cold and overcast with a stiff breeze blowing towards the low numbers, but as the match progressed the wind eased to give quite a flat calm reservoir which certainly affected catches. 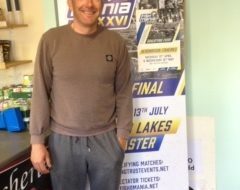 The winner of the Angling Trust & Canal & River Trust Stillwater Championship grand final for 2013 was Maurice Williams (Sensas Chilton Baits) who took advantage of his end peg 61 to record a comfortable win with 58.240 kg. Maurice fished a method feeder at a distance of 65 metres to catch a total of 19 carp using red and white boilies as hookbait. Maurice caught steadily throughout the day and tried the pellet waggler during blank spells, but with no success. Maurice took away not only the Championship trophy, but also a winner’s cheque for £2,230.00. 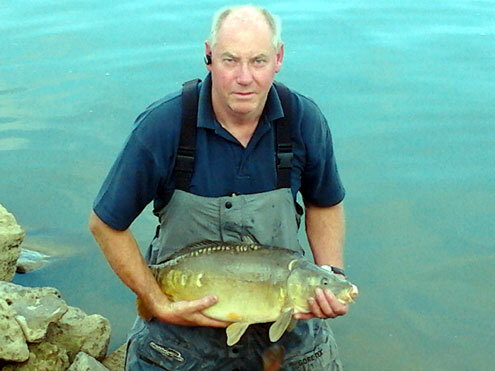 In second place was Glenn Greasley (Guru) fishing peg 16 with a weight of 37.080 kg. Glenn also fished the method feeder with pellets and boilies as hookbait, and had to cast a distance of 95 yards to catch 12 carp. He took away a cheque for £1,740.00. Third place went to Lee Davis who fished the method feeder on peg 6 for 10 carp weighing 35.980 kg to take prize money of £1,160.00. 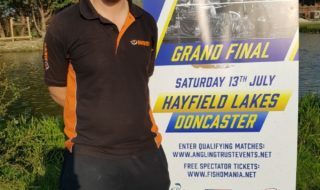 On peg 70 and finishing in fourth place and taking a cheque for £580.00 was John Devine (Leigh Tackle and Bait) again using the method feeder for 10 carp weighing 35.840 kg. 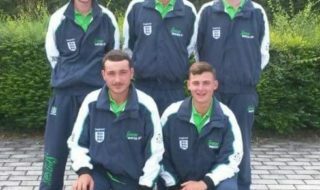 The Angling Trust and the Canal & River Trust would like to express their appreciation and thanks to all the volunteers who help make these qualifiers possible every year, and for all the venues that hosted all the qualifying rounds this year.